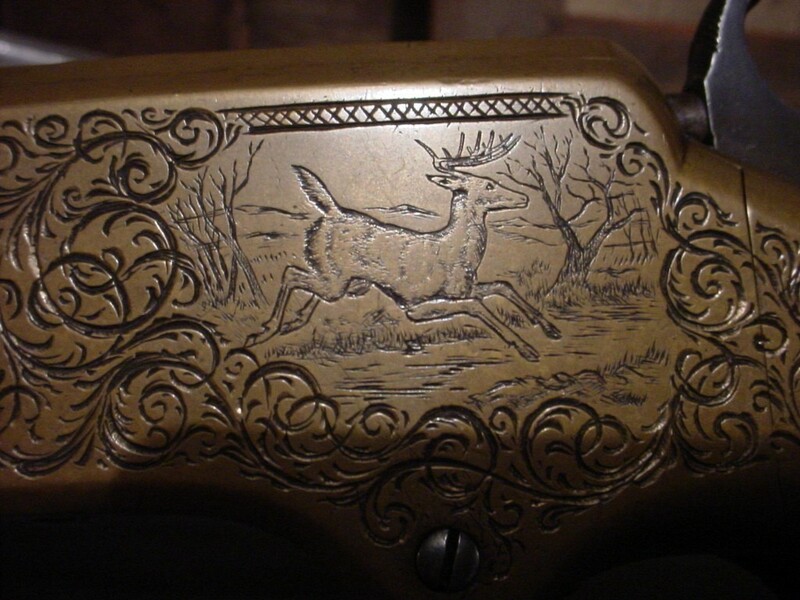 This is an 19th Century beautiful Silver engraved (Deer, rabbits, quail,and shells etc.) 12 gauge Shotgun (Decor only, not for shooting) call for more pictures. Please email with questions or call 406 270-2842. 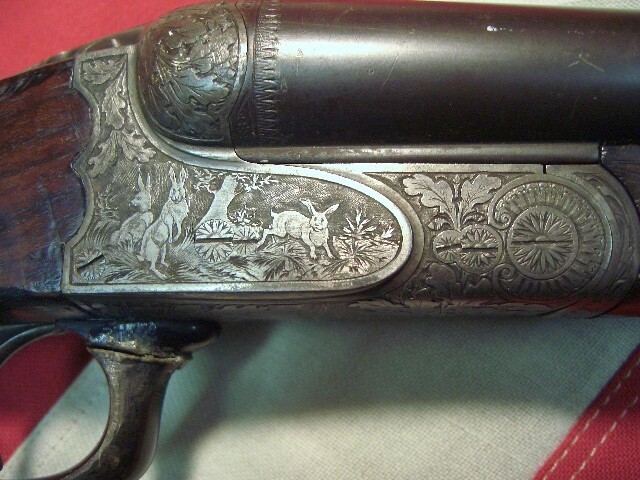 This is an 19th Century beautiful Silver engraved (Deer, rabbits, quail,and shells etc.) 12 gauge Shotgun (Decor only, not for shooting) call for more pictures. SOLD Please email cowboyron@cowboycabin.com with questions or call 406 270-2842.